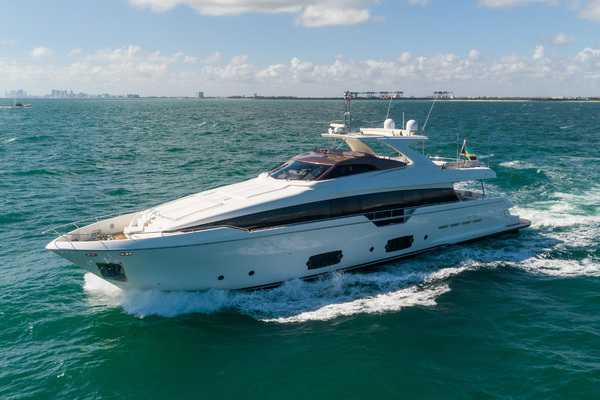 With her unique golden champagne paintwork this Mangusta 80 is set apart from the crowd. 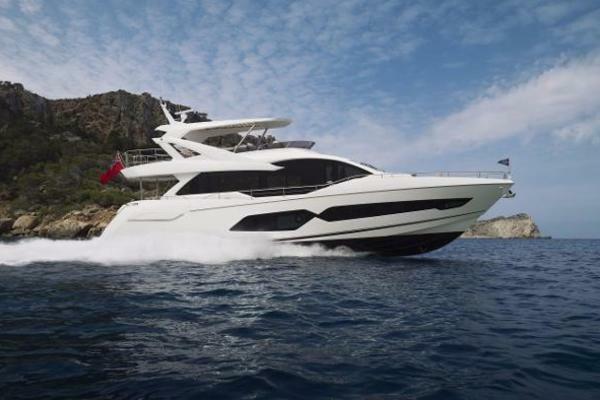 Having had anextensive refit in 2009/2010 and a complete W6 rebuild of the main engines in 2013 she is a great deal in the FastPerfomance luxury market.ACCOMODATIONThe Mangusta 80 accommodates 7 guests in 2 double cabins and 1 twin cabin. The master suite is full beam with adouble bed, sofa and en-suite facilities. A double cabin is starboard with en-suite facilities and the twin cabin is toport with a Pullman berth and en-suite facilities. All cabins are finished with deluxe fixtures and soft furnishings andfeature large mirrors, creating an illusion of additional space.INTERIORThe Mangusta 80 boasts a uniquely sumptuous interior featuring high gloss tortoise shell mahogany throughout.The salon is elegant with 2 large cream sofas, a formal dining table, 2 cocktail tables and entertainment systemwith large flat screen TV. Recessed lighting and plush carpets offer a warm and inviting atmosphere.EXTERIORShe has fabulous exterior areas to enjoy. The cockpit is large and features a second outdoor salon complete withalfresco dining. A Bimini cover encloses the large outdoor area which can be airconditioned for comfort. Further aft,2 double sunpads will beckon the sun lovers, as they watch over the water enthusiasts enjoying the water toys fromthe extended swim platform.Another large sunpad on the bow with built in speakers and Bimini cover create the perfect location to relax andtake in the beautiful scenery when at anchor. 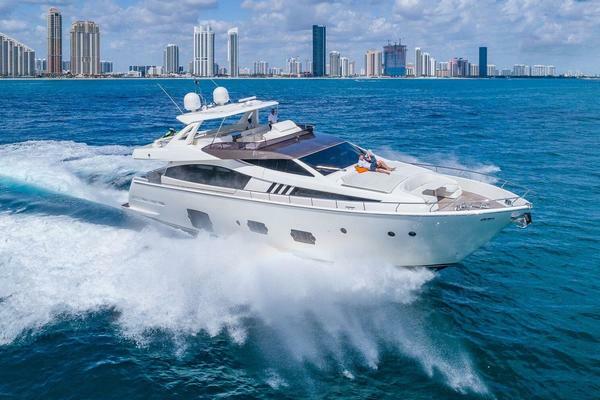 United Yacht Sales New Jersey would love to guide you through a personal showing of this 82' Mangusta 80 1998. This yacht for sale is located in Unknown France and priced at $600,000. For a showing please contact us by filling out the form on this page and we will get back to you shortly!